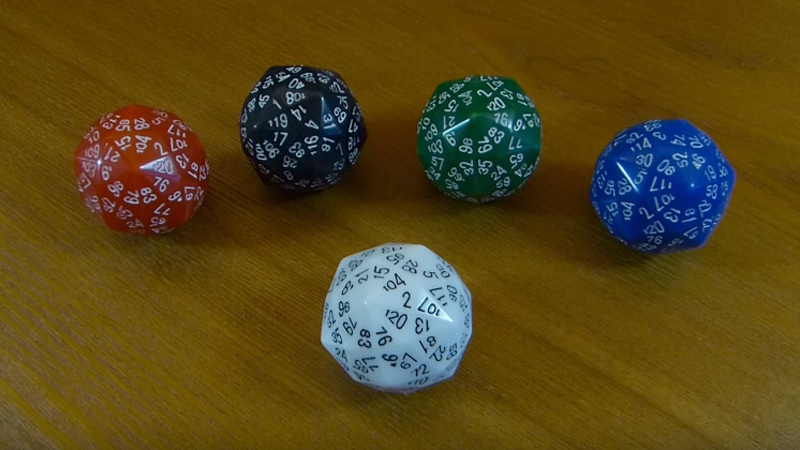 There’s now a d120 out there, made by the folks over at The Dice Lab, and while it’d be interesting to see what it could be used for during an RPG session, it certainly looks like a fun gimmick. The d120 is based on a polyhedron known as the disdyakis triacontahedron. Each face is an elongated triangle. These dice are perfectly numerically balanced, with the same sums for numbers around vertices of the same type. The video below shows that designing it wasn’t that easy either, because of the numerical balance, and because it actually won’t roll forever.